Noelle Ekonomou attended the accelerated 6-year Doctorate of Physical Therapy program at Saint Louis University and has received extensive training in both orthopedic, neurologic and acute rehabilitation. 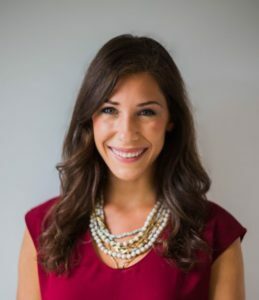 Noelle is passionate about helping others pursue their overall health and wellness goals and believes in providing the highest quality of care. With an integrated, whole-body rehabilitation model, Noelle uses extensive evaluation, examination and treatment procedures. She deeply explores the root cause of her patients’ injuries — considering musculoskeletal, vestibular, vision, neurologic and cardiopulmonary systems. Noelle attends continuing education courses to advance her skills, with special interests in manual therapy (including muscle energy, myofascial release and joint mobilizations) and Postural Restoration (PRI). Noelle’s special interest in PRI began in 2014 and has received extensive training and mentorship from Postural Restoration Certified therapists. She yearns to achieve advanced certifications in Postural Restoration, manual therapy, and become a board certified orthopedic specialist. Noelle also completed Saint Louis University’s Sports Physical Therapy seminar and worked with Division 1 athletes. She studied running analysis, overhead athletes, functional movement systems, strength and conditioning, athletic taping and concussion management. Noelle believes in developing individualized treatment approaches by incorporating different philosophies. In her personal time, Noelle enjoys doing anything active, including hiking, bicycling, long distance running, yoga and exploring the city!